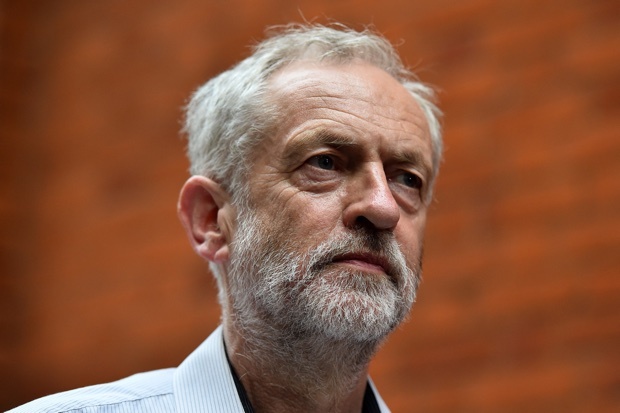 What is really going on in Jeremy Corbyn’s Labour Party? An open-air meeting and the changes in a ward branch give some clues. “Most MPs opposed to Corbyn appear willing to discount this surge, even though it is unprecedented for the Labour Party in recent times.” Jeremy Corbyn leadership rally in 2016. Credit: Wikimedia/PaulNUK. Some rights reserved.These columns have occasionally strayed from their usual territory of international security to look at elements of domestic British politics, especially since the unexpected rise of Jeremy Corbyn to the leadership of the Labour Party. The current leadership contest, which climaxes on 24 September, and the intriguing state of the party as a whole, makes another contribution to this mini-series seem timely. (For earlier contributions, see for example: “Jeremy’s Corbyn’s first hundred days” [19 August 2015] ; “Jeremy Corbyn’s first 100 days, revisited” [17 December 2015] ; “Jeremy Corbyn, the future not the past” [28 April 2016] ; and “What Labour should do now” [14 July 2016]). Taking this as accurate, it is worth paying more attention to what is happening more widely within the party, especially in terms of the further increase in membership to well over 500,000. Put bluntly, most MPs opposed to Corbyn appear willing to discount this surge, even though it is unprecedented for the Labour Party in recent times. Some see it as little more than a cult of ‘true believers’, and others see the increased membership as made up of ‘fair-weather’ friends. This, though, might not be wise and more importantly might be missing what is going on below the surface. Anecdotal evidence may not be of the highest quality in terms of analysis but it has its uses, especially if it appears relevant to a wider trend, so please bear with me if I cite a couple of recent pieces. The meeting appeared to have been organised at quite short notice and publicised largely by social media. It did not have the style of an evening gathering of the faithful in a large hall, but was simply an open-air opportunity to hear Corbyn. That he could gather so many people in the middle of a working day at the height of the holiday season is interesting in itself. The crowd included plenty of young people, with many prams and push-chairs evident. I doubt that any other politician could have attracted such a crowd at the present time, nor for many years, at least in the English midlands. The mood was positive, appreciative but not ‘over the top’. It was as far from a cult as you could imagine. Third, it is hardly true to describe the increased membership as being dominated by fair-weather friends. Such people typically join an organisation when it is doing very well and leave when things get tough, but the huge increase in numbers of new members coincides with Corbyn and Labour under constant attack, and with Corbyn ridiculed in much of the media on a daily basis. It is therefore far more a case of foul-weather friends who have joined when times are singularly difficult. So Corbyn seems to have attractedperhaps a 100,000 more potentially loyal members than Blair did at his peak. This entry was posted in Blog, The Purged and tagged in jeremy corbyn, labour party, open democracy, politics, popular.